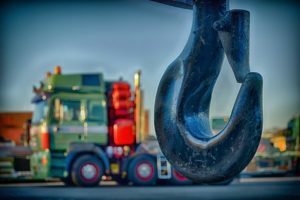 Have you ever found yourself with a truck emergency where your vehicle needs towing and several attempts to reach a towing company proved unsuccessful? Imagine how frustrating this situation could be. Whether you have been in this situation or not, it’s just apparent that you need to know the right measures in choosing a heavy duty towing company to put things right in case of road emergencies. This step is the first measure to put in place when choosing a heavy duty towing company. Read about their reliability and customer service by checking reviews of customers that have used the company. Reviews can be found on the company’s website or on independent retail review websites such as YELP or Angie’s List. This way, you see if there are any repeated problems with their service (particularly if any cars have been damaged while being towed). You can also see if the majority of their customers were pleased or disappointed with their service and personnel. Find out the cost of hiring the company, make sure you go for a company with fair prices that you can afford. This way, you know you can always pay the operator in emergency road situations. Find out the paying methods accepted. Find out if they have the proper equipment that guarantees job success. This information will ensure that you won’t be disappointed when you need them in an emergency road situation that involves towing. Check what type of equipment they use. Do they use hook and chain, wheel lift or flatbed trucks? 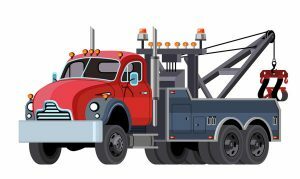 A flatbed truck is one of the safest as the entire vehicle is lifted onto the towing truck, but these can’t be used for larger vehicles like trucks and RVs. Additionally, you should know if the company’s staff are well-trained operators. You want professional operators that can handle the towing of your vehicle amidst other technicalities. For instance, are they trained that some trucks are pulled from the front and others from the back? Investigating a heavy duty towing service ahead of time will give you peace of mind if a roadside emergency happens. You will know who to call and that their service will meet your needs. Are you looking to hire one of the best companies for heavy duty towing? Check out Unlimited Recovery for the best heavy duty towing service in the Raleigh, NC area. Call 919-790-9393. Once in our lifetime, we find ourselves in need of towing for mechanical reasons. Cars can be unreliable especially when not well taken care of. They will also easily breakdown through unforeseen circumstances. 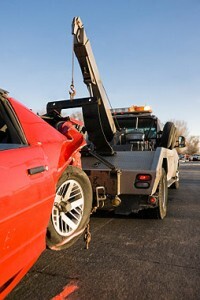 Accidents and mishaps are also one of the reasons you may need a towing truck. Towing trucks are easy to find. The issue would be the kind of trucks provided. In all cases, it is important to work with heavy duty tow trucks. 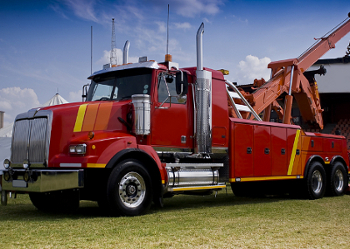 Heavy duty tow trucks will come with a number of advantages over any other standard tow truck. Heavy tow trucks come with the ability to maneuver is some of the trickiest areas and situations. Vehicles that have veered off the road, in muddy situations, tipped over and such cases will need the versatility that comes with handling all situations. Few tow trucks can manage extreme conditions. A versatile tow truck will be ready for any eventuality. Heavy tow trucks are able to handle the weights and surprises that come with towing. Heavy tow trucks will definitely come with more power. In cases where your car is a two-tonne truck or bus, you will need sheer strength to get help. This may be in the case of lifting, pulling or simply towing the vehicle away. Heavy duty tow trucks come with strong engines and frames that are able to handle heavy loads and shifts. It is wise to call in the best heavy tow truck services in Raleigh in cases of such an incident. One of the most crucial aspects of any towing procedure is the safety of the people trapped, to minimize the damage on the car and the safety of the tow truck operators. Heavy duty tow trucks are ideal in these cases thanks to the fact that they can handle weights and loads that would easily slip and fall back. They are also strong enough to manage the tasks without putting the lives of the operators in jeopardy. Heavy tow trucks come armed with heavy lifting equipment. Good equipment will not break or get compromised as it is being used. The kind of equipment a tow truck carries will determine how fast you will get help. A well-equipped one will have you out of harm’s way in a very short timer. Good equipment not only makes work easier but ensures that your car is salvaged with the least possible damage. Large and oversized cars like buses, tractors, trailers and dump trucks require a specialized kind of towing service. When they break down, they can block an entire highway and cause other drivers and passengers to become stranded on the road. But only a few companies have the skill and experience to handle heavy duty towing. Heavy duty towing may be required when the car experiences mechanical failure or a simple incidence like a flat tire. When this service is needed, you want to ensure that there’s a reliable towing company who can show up promptly. There are a number of things that go into choosing a reliable heavy duty towing company. We’ll look at a few of them below. Relocating large automobiles may be impossible if you don’t have special equipment that is designed to handle large loads. Unfortunately, not every towing company in Raleigh has this kind of equipment. Find out what kind of heavy duty trucks and under-lift equipment the towing company has before hiring. Let them know the weight of your truck so that they can advise whether they have equipment to relocate it in case of an emergency. Drivers who tow heavy trucks and trailers need to have experience in this kind of work. This helps to ascertain your safety. A driver needs to know exactly how to lift the truck and maneuver on the road. Drivers are trained on what to do to prevent the truck from becoming dislodged when it’s being moved. They also know how to drive safely without putting other drivers and passengers at risk. When can you call the towing company? Remember that breakdowns can happen when you least expect it. You need to hire a towing company that can come in during an emergency and provide a safe and prompt service. Ask if the company has 24-hour emergency towing services before hiring. Heavy duty towing companies in Raleigh usually provide a comprehensive list of services such as winching out vehicles during emergency situations. Some companies also offer fuel delivery and diesel repair services so you don’t have to worry about looking for a mechanic when the worst happens. Ask about the rates offered by the towing company as well. Make sure they don’t put hidden costs and all your concerns are addressed before work begins. Stuck on the road? Just give us a call and we’ll be there in no time. We have heavy duty tow trucks and cranes to handle all types of towing situations! You will never know when misfortunes would hit you, especially on the road. That’s why it is important to be prepared if you are always driving. 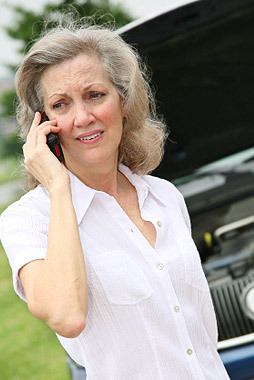 It is actually beneficial for vehicle owners to get a roadside assistance plan that includes an emergency auto towing. There are lots of vehicle towing companies that offer such services. You can ask them to clarify to you precisely what the perks and services are, should you get one of their plans. Many people are not quite positive about this because it’s like you are thinking and you are quite sure you will be wanting their assistance any time soon. This is not actually accurate, you are just preparing for what could come in the future. And there’s nothing wrong with being prepared especially during crisis situations. It is often easy to say that you can handle any roadside emergency when you’re really not yet in the situation. But when you are in fact in the place you still wind up losing all of your calmness. The feeling is a lot better when you have company to assist your sort matters out. A good vehicle towing services can reach you within thirty minutes and just a phone call away. A reliable road emergency team is always ready to answer your demands. Availability and quick response are just some of the most important factors each and every towing service provider needed to achieve. Response time is one of the primary reasons many drivers choose Unlimited Recovery. When you’re in pressure, time appears to go too slow and the longer the time it takes the more tension you become. Especially when you’re alone, you are going to start thinking of many things. During emergency situation, the single matter that you want is for your automobile to be looked after correctly. You do not need to create more difficulties and damages that is why you see to it that the handling of your vehicle would be at its very best. Because we’re not discussing small amount of money here, particularly when managing vehicles, negligence is not ever an alternative. By vehicles, we mean large amount of money that we can not afford to go on waste. You help as if it is your own as an automobile towing service center it’s your duty to deal with each and every automobile. Automobile towing services are unquestionably helpful during crisis scenario on the road. For heavy duty towing Raleigh NC services, trust us and we’ll be there to help you in no time! In Need of Tow Truck Service? Read This First. There are very many problems that could happen when you are driving. You are likely to experience some mishaps such as running out of fuel, a flat tire or the car battery running out. In such situations, the first thing to cross your mind is getting some help from an efficient towing service. If you are hiring a tow service for the first time, you can end up facing serious consequences. Hiring a company that does not know what it is doing can damage your car. In addition, unscrupulous tow services can overcharge you deliberately. Here are some tips that can guide you when hiring a tow service. Different towing companies treat tows very differently. There are towing services that specialize in car punctures while others specialize in mechanical failures. The reason why you should go for a specialized towing service is that all your towing needs shall be handled with utmost specialty. The tow trucks and operators should be well experienced in towing situations that are similar to the one you are experiencing. This is important because it helps to avoid additional repair work. In most cases, tow truck services and companies get phone calls from many hysterical drivers who are just stranded by the roadside. This is a step that can barely help the towing figure out the exact problem you are facing. It is therefore important to be calm, figure out the exact problem you are facing and explain it in a clear manner. Try to sound composed as you speak to the towing service. Once the tow truck has confirmed coming to assist, do not try to go ahead and fix the car. This is because you will still be charged even when the car gets back to normal operation. In addition, you might end up damaging your car more. Some towing services might try to charge you fees for special types of tows, cross country lines or the type of car you have. It is therefore important for you to ask upfront about all their fees, the far they are going to tow and whether they are going to assist with the insurance company paperwork. Some towing services may ask for an upfront payment or contact your insurance company. Whichever the case, you should be well prepared. Tip 3. Is the Company a 24/7 Towing Service? With professional and corporate industries aside, the fact that a towing company can be on the road twenty-four hours a day for seven days in a week is an important factor. Your vehicle shall never give you a heads up of when it plans to break. This makes it important for you to hire a company that you can call at any time of the day and get assisted. In most cases, car problems occur during the worst possible time. It is for this reason that you need a tow service that can help you out at any time. Speaking of reliable roadside assistance, get in touch with us here at Unlimited Recovery. We’ve been providing expert Raleigh tow services for years! Call us now!